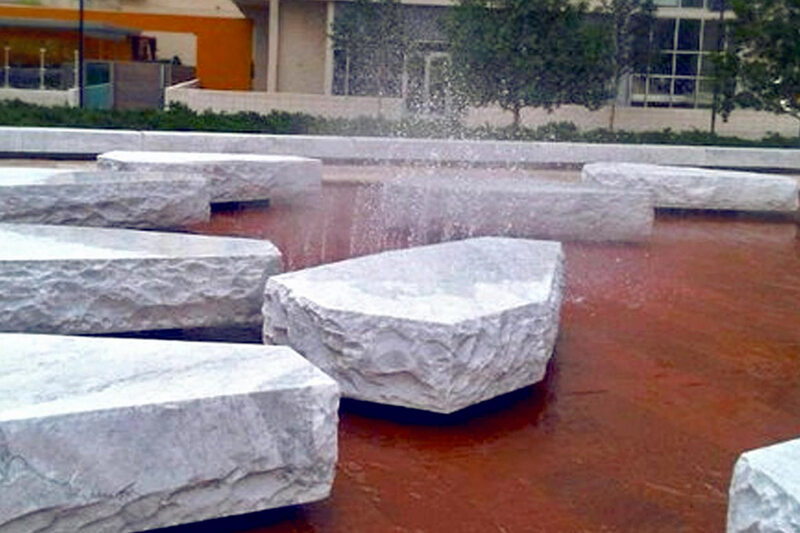 Main Street Garden is an open urban park square located in Dallas, Texas. 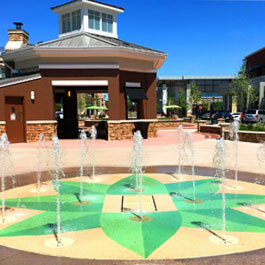 Delta Fountains designed, manufactured, and supplied the mechanical aspects of the dual interactive fountain. 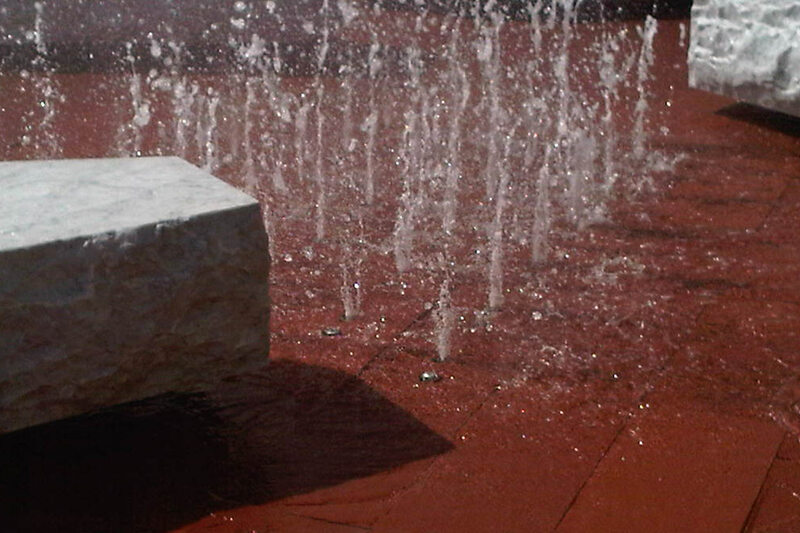 The fountain is equipped with mist spray nozzles to encourage people to interact with the water feature. 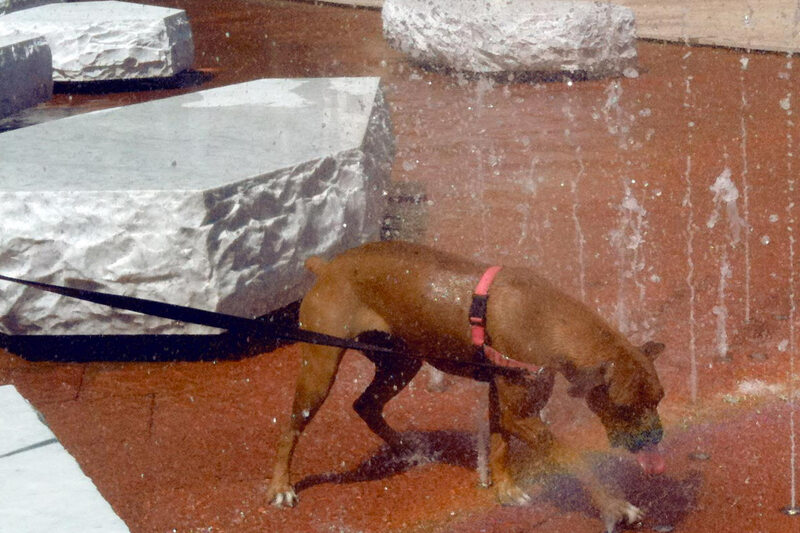 The water in the fountain is sterilized with a UV System, rendering it safe for public use (and puppies). 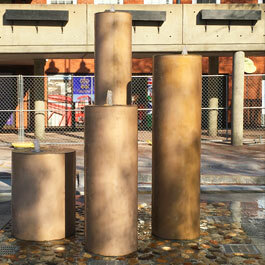 The design intent was to create an urban sitting and cooling area for the public space. 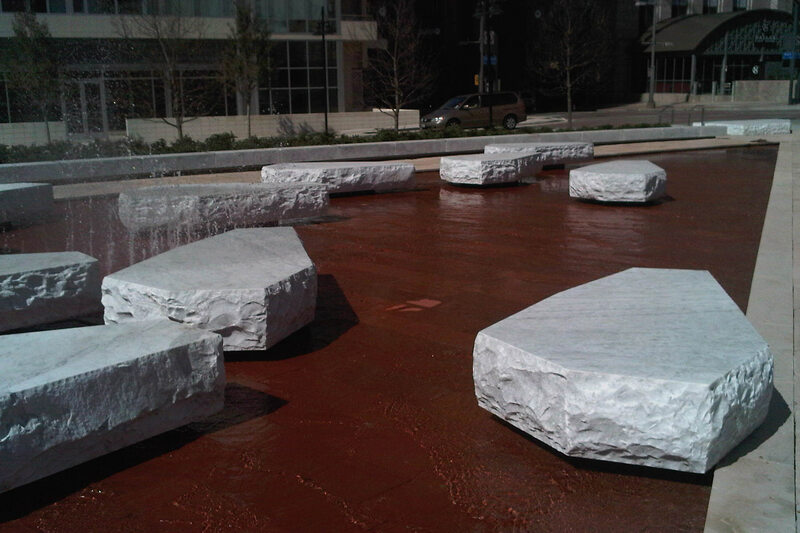 Main Street Garden, located in downtown Dallas, is an open urban park surrounded by retail locations. 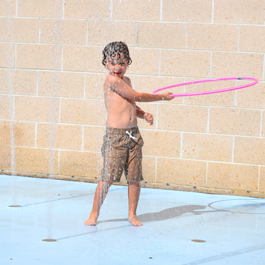 The park includes an interactive fountain, garden shelters, a play area, and a large lawn area for special events. 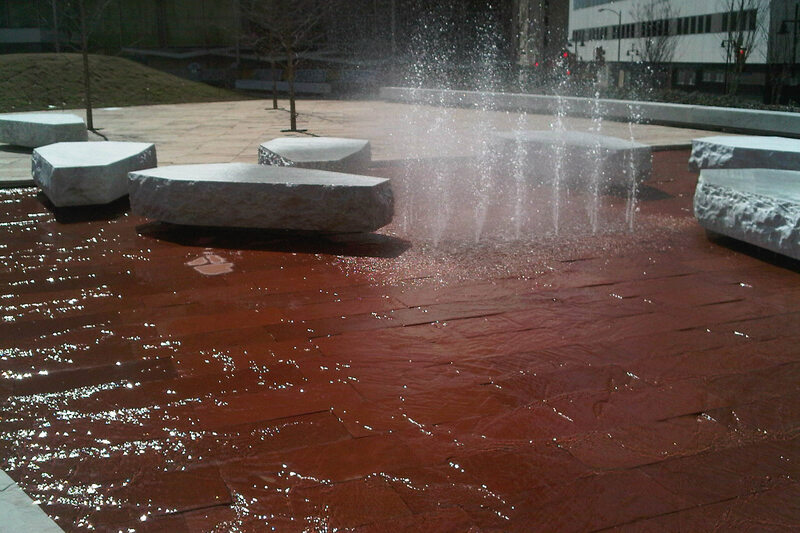 Delta Fountains designed and provided equipment for the dual interactive and mist water feature in the Main Street Garden. 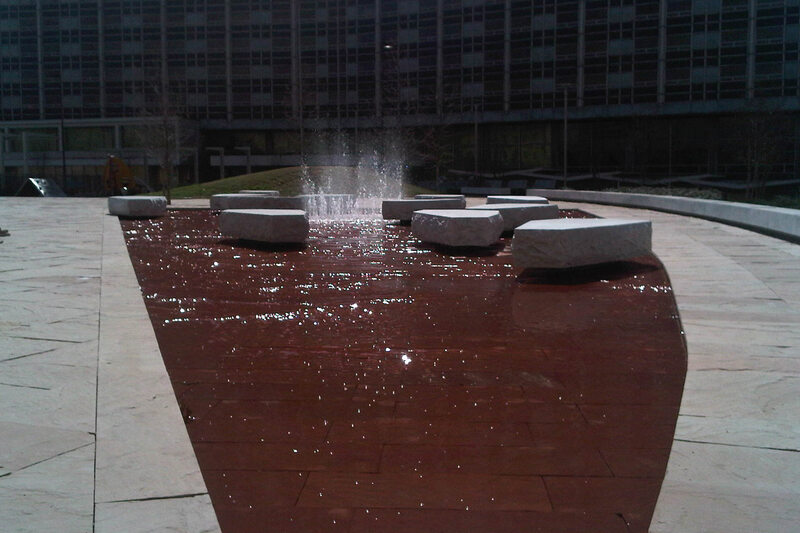 The water feature was designed with several water effects to provide an area for pedestrians to relax during hot Dallas days. The main water effect is a scrim feature, which provides a thin film of water over the surface of the geometric feature. 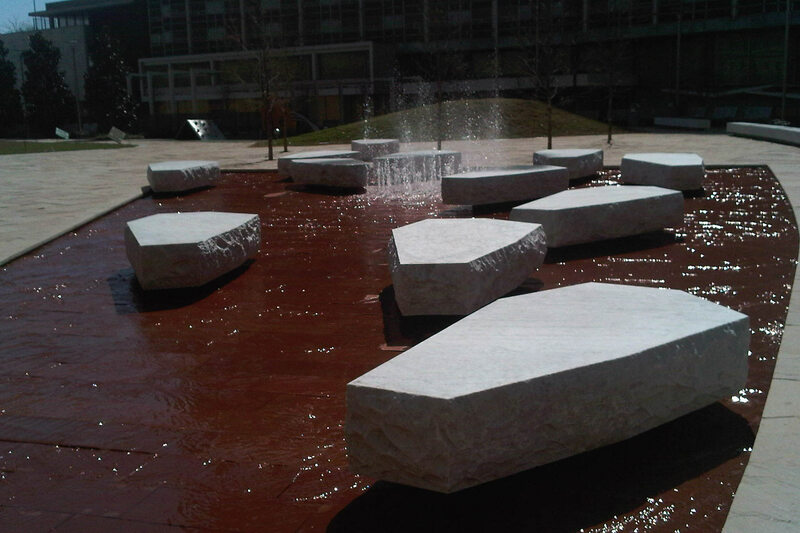 White rocks are scattered inside the scrim feature to seating within the water. 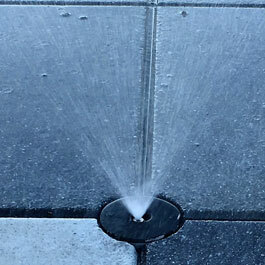 Small water jets and mist nozzles are arranged throughout the feature. At night, the lights surrounding the jets provides a cool evening sitting area for concerts and events.